After what felt like a never ending “beast-hiatus”, Beauty and the Beast is back and in some ways, better than ever. So let’s get down to it. Vincent and Catherine seem happier than ever. Lame work and traffic may get in the way, but nothing a police siren and some old fashion beast-rooftop hopping can’t fix. To make everything even more perfect, Vincent dug up his mother’s ring [which he never gave to Alex?] and plans to ask Cat to marry him. There is only one problem... Remember FRINGE dudes from the S2 finale? Apparently, they have been phone-stalking Cat, wanting their services as a supernatural crime-fighting duo [guess the Winchesters were otherwise engaged]. Cat isn’t completely against the idea because she is convinced that they have a greater destiny to fulfil, but Vincent just wants to live a normal life. Except… he is not normal, because he is extraordinarily hot a beast. Meanwhile, JT has been suffering from PTSD after his near-death-and-subsequnt-mysterious-possibly-beastly-resuscitation experience. And turns out that Tess isn’t winning the “patient girlfriend” of the year award any time soon. She grows tired of JT’s self-pity party and tells him to snap out of it and start living instead of wondering why he didn’t die. It was a little harsh, but maybe JT needed a wake-up call. I think Tess did want to see JT get better, so I am going to cut her some slack. On unrelated beast news [as far as we know], Heather is getting ready for her wedding. She can’t wait for Cat to meet her fiancé [I can’t wait either!] Do we know anything about this guy? Has he been cast? I may have missed the casting news, but I feel Heather’s fiancé is surrounded by mystery and I really hope he doesn’t end up being a random unimportant extra. There is potential for a storyline there! But I am getting ahead of myself. Back to the episode. Catherine decides to pay Agent Thomas and Barnett a visit and hear their job proposal pitch. Catherine wants proof before bringing Vincent in; so, FRINGE DUDES take Catherine to see the wife of a stock broker: TYLER ZANE, who they think may have developed supernatural abilities. Catherine is not convinced, but she has trouble walking away [“serve and protect” is part of her official job description after all]. The choice to tell or not to tell Vincent is taken away from Cat when Zane attacks her and the DHS posse. Agent Barnett dies while Agent Thomas and Cat wind up at the hospital where Vincent works, effectively ruining his restaurant-proposal plans; but giving him the chance to have a superhot/superdoctor moment. Vincent doesn’t understand why Cat would want to go back to the life they worked so hard to leave behind. Vincent’s meltdown, however, has a fortunate consequence and his misfortune awakens JT’s “best-friend-extraordinaire” instincts. JT snaps out of his trauma and makes V understand that his beastliness is not a burden, but a gift [as Cat later points out]. JT also concludes that his purpose in life is to be the greatest sidekick he can be and that he is saving the world by proxy. Armed with his recharged hero impulses, Vincent goes back to the hospital just in time to find Zane doing… something to Agent Thomas. I can’t decide if he was just chocking him, drinking his blood or trying to eat his brain… Hey, it’s not my fault that he is an UNDEFINED SUPERNATURAL BEING. I am just covering all my bases. Agent Thomas manages to gather enough strength to guilt-trip Vincent: “If you don’t stop him, who will?”. So Vincent beasts out and goes after the WALL STREET CRAWLER. They end up on the roof of Zane’s office building, where he wants to set off a bomb to fulfil his undisclosed terrorist agenda [not much of a clue given how many people wanna blow up Wall Street]. Vincent attacks Zane and is about to kill him but Cat stops the beast by appealing to his “human side”. In the end, Vincent chooses not to cross over to the beast-dark side and doesn’t kill Zane. I think this scene was necessary after everything that happened with Bob on S2. Vincent has changed, he can choose MAN over BEAST and the reason for that is Cat [and her love]. Having said that I hope they don’t go into an endless season long rant about “humanity” [losing it, keeping it and whatnot], we had more than enough of that on TVD. The episode ends at the ROOFTOP OF IMPORTANT RELATIONSHIP MILESTONES. Vincent acknowledges that no matter how much he wishes he could be normal, he is not. Cat agrees, but she makes it clear that she is planning to stick by him during their “abnormal life” because “her normal is when she is with him”, remember?. She also points out that he made the decision to join the army and became a doctor [and a firefighter]; so he clearly wanted to “save” people. He has no reason to avoid “saving” people as a beast too. That was a solid argument, Cat. Vincent can’t argue with Cat’s logic, so he opts for a [great] topic change. He tells Catherine that they might have a greater purpose but without her love he would be lost. Nervously he gets down on one knee, takes out his mom’s ring and asks “Will you marry me?” [that voice] Cat cries and says yes… because, come on, who could say no to him. No long recap, I am afraid [I still might be persuaded to write those during the hiatus]. But most people probably appreciate something you can quickly read. I enjoyed this episode very much. I felt it was well structured [which we shouldn’t take for granted]. I thought the characters were true to themselves and that they avoided unnecessary relationship conflict [which is one of the things I loved the most about S1]. At this point their relationship is strong and they love each other, it wouldn’t make sense for them to pull apart at the first sign of trouble. The premise change really worked for me. It made the show feel fresh, without feeling like a different show. I can’t promise I won’t get bored with the SUPERNATURAL BEING OF THE WEEK, but it could be interesting if handled properly. Vincent is definitely not normal, but bound for bigger things--Destiny. We certainly do not want this "extraordinarily hot beast" sitting in front of the tv set all day or in front of a computer letting those beautiful muscles go to waste. HE is the best reason for me to do that. Loved the review. Any dig at TVD and humanity wins in my book! lol Really liked the review, I guess I'm not used to the brevity but that's totally fine. 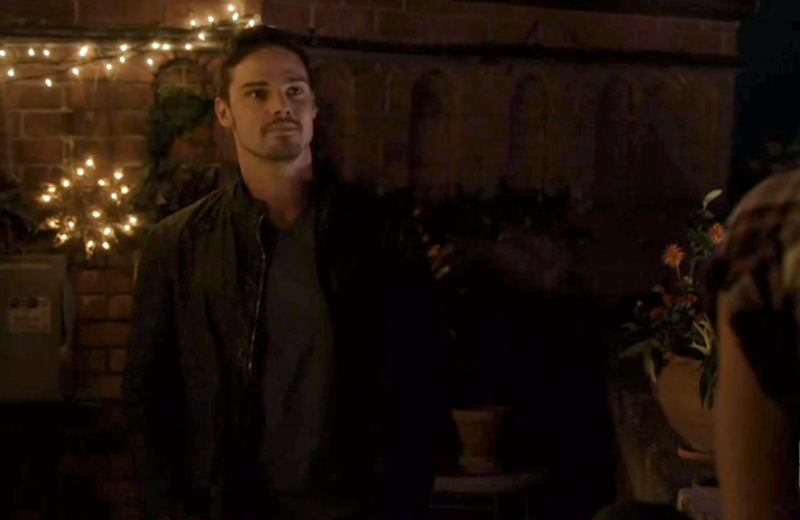 I agree that the episode was solid and felt fresh, like a new chapter for the BATB we all know and love. Can't wait to see where the show takes us in the remaining 12 eps! Oh and I keep forgetting complement you on the new design for your website. I absolutely love it! So happy to see your review!! Insightful, funny, and spot on as usual! Thank you!!! I LOVED every second of this episode! So happy our wonderful show is back and better than ever! I like your recap this way ~ short n sweet ~ much like the proposal! Loving VinCat moving forward this way squeee! I hope they don't screw up the baddies either! Always a pleasure to read you reviews. I beg to differ in one aspect, the flawless logic of Cath. Not so much. There is a vast difference between being a doctor or a fireman and being a beast. You do not risk your humanity! As Cath herself have pointed out so many times before. Now that is completely forgotten? If she weren't happy, she wouldn't have agreed to marry her... I just think she is being who she is (which is a little difficult) but that doesn't mean she doesn't love him or is unhappy. She just wants more... "she never walks away from a fight" This is not new. I think Cat is really happy. I don't think she's bored, so much as unfulfilled feeling like she has a calling or they have a calling they aren't following. Also, it isn't like she said I love you, but I am going to fight superhumans. She said I love you and our love makes us the right people to fight superhumans together, even though it complicates our life. She's always including him.I just think it's about the perspective one takes. She didn't say, contrary to what some people think, our love isn't enough. She said I think our love can do more than just exist to make us happy. It's strong and has power so let's use it for good to save people, in only a way we can. I think V was right to be anxious and feel a little rejected, but I think the writers meant for us to take it that way like I said above. I get V and C both in this episode. Cat is a stubborn fighter for justice; she still will be as V's gf, fiance, wife, whatever. I love the idea of her thinking their love makes them destined to do more than just love each other. Plus, she told V that either they fought this new threat together or not at all so she was willing to walk away from her/their purpose for him. Also, their love is what makes them a unique and powerful team. Plus, I think like C told Tess and V, she isn't looking this stuff, but it keeps coming to her and V so she feels like that means they are supposed to deal with it and plus, she feels like they are the only ones who can and she feels like if this bad stuff wasn't happening she could just be a normal stay at home couple with V, but not when she sees tragedy occurring. This all makes a lot of sense to me. I really liked the premiere. I felt like it was angsty, but I feel like V and C were both true to character and making decisions I understood, which was missing in s2. Cat can't sit by while she knows supernatural stuff is going on bc she feels like only she and V can stop it. If it weren't going on, she wouldn't be upset, but could be a boring stay at home couple with V.
Cat's wanting something more isn't even separate from V! She wants MORE WITH HIM! She wants them to fight these new things together, so if anything she is further entangling their lives. So it's even less of wanting a successful career and a successful marriage bc she's saying we both need to do this extra thing, not just her alone. She thinks they can do anything together and survive anything if that isn't the highest compliment to a relationship's strength and love, then what it?